This ACADEMY is of National level, registered by the provisions of Societies Act XXI of 1860 under the Government of Bihar in 1988, presently has its Head Quarter at 206, Raj Tower-1, Alaknanda Community Centre, New Delhi. The main objective of the Academy is to bring awareness about the environment among the masses by arranging lectures, demonstrations, training programmes, seminars, symposium, conferences, publishing journals, etc. Its major aims and objectives include promotion of environmental sciences among young minds and researchers, setting up regional and state Chapters for dissemination of information on environment, to hold Annual Conference, to organise national/international level conferences, symposium, seminars, meetings and workshops on themes of environmental concerns and to publish policy papers, synthesis volumes, proceedings, journals, newsletter, transactions and other publications for the promotion of Environmental Sciences. Various eminent personalities had graced the Academy as its President including Dr. K.C. Bose, Dr. B.S. Attri and Padmabhushan Dr. S. Z. Qasim. Prof. Javed Ahmad (Former Dean, Faculty of Science), Jamia Hamdard, New Delhi is the present President of the Academy. NESA has organized around 30 conferences and established 10 State Chaper. 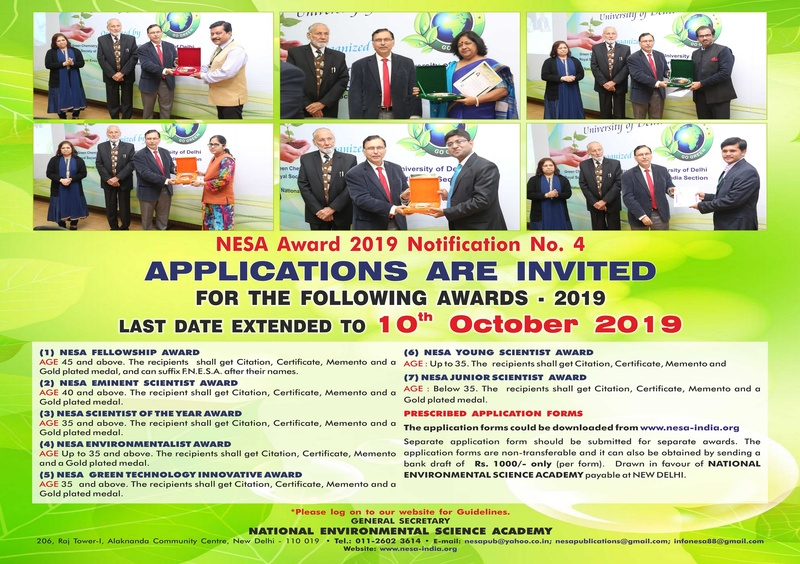 Annual Awards offered are Fellowships, Best Scientist, Eminent Scientists of the Year, Scientists of the Year, Environmentalists of the Year and Junior Scientists of year Awards. 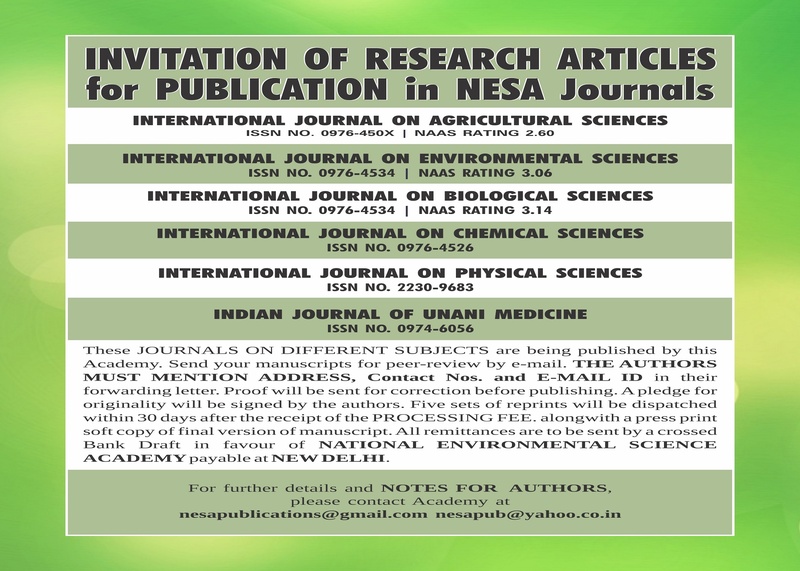 NESA publications include monthly newsletter, Intl J Agrl Sci., Intl J Environ Sci., Intl J Biol Sci., Ind J Unani Med. and Environ Abstracts.